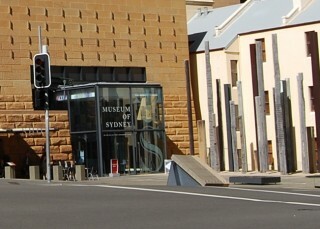 The Museum of Sydney, administered by the Historic Houses Trust has both permanent and changing displays of the people, the heritage and history of the city. The museum was built on the site where the first Government House, built for Arthur Phillip in 1788 stood till 1845, thousands of artefacts from Sydney and the site itself are on display in lit drawers that you can open and see up close. At the museum you can meet and understand the first settlers that came here, whether by choice or otherwise, view models of the First Fleet ships up close. There are also authentic objects from the first Government House that used to occupy the site from 1788 to 1846 as well as their occupants. 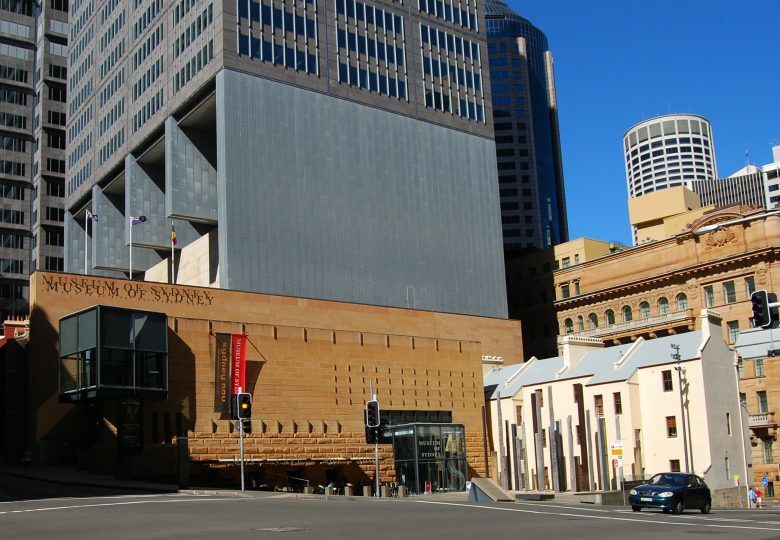 Photo: MOS front entrance, Phillip St.
Arthur Phillip had served as the Commander of the the First Fleet before becoming Governor of New South Wales. The voyage of 24,000 kilometres had lasted some eight months before arriving at the shores of Australia, the fleet consisting of eleven ships from Portsmouth, England. Today, the arrival of the fleet of convicts and their guards, the declaration of the establishment of the Colony of New South Wales for the British empire is celebrated on January 26. MOS is located on the corner of Phillip Street and Bridge Street. Map showing location of the museum and other nearby Sydney city attractions Map of Sydney CBD. You can find places to stay in throughout the CBD and the Sydney region - luxury hotels to apartments and bed & breakfasts.